Early Spanish explorers in the late eighteenth century found springtime California covered with spectacular carpets of wildflowers from San Francisco to San Diego. Yet today, invading plant species have devastated this nearly forgotten botanical heritage. In this lively, vividly detailed work, Richard A. Minnich synthesizes a unique and wide-ranging array of sources—from the historic accounts of those early explorers to the writings of early American botanists in the nineteenth century, newspaper accounts in the twentieth century, and modern ecological theory—to give the most comprehensive historical analysis available of the dramatic transformation of California's wildflower prairies. 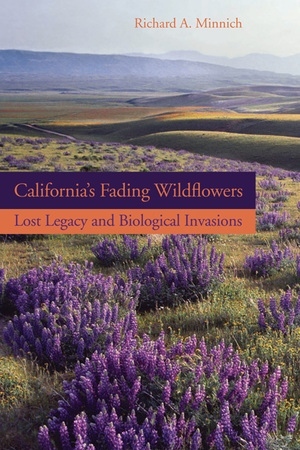 At the same time, his groundbreaking book challenges much current thinking on the subject, critically evaluating the hypothesis that perennial bunchgrasses were once a dominant feature of California's landscape and instead arguing that wildflowers filled this role. As he examines the changes in the state's landscape over the past three centuries, Minnich brings new perspectives to topics including restoration ecology, conservation, and fire management in a book that will change our of view of native California. Richard A. Minnich is Professor in the Department of Earth Sciences at the University of California, Riverside. He is author of The Biogeography of Fire in the San Bernadino Mountains of California: A Historical Survey and Land of Chamise and Pines: Historical Descriptions of Northern Baja California (both from UC Press).